Marielle Franco was a mother; a black woman who identified with the LGBT community and came from the Complexo da Maré, a series of favelas in northern Rio de Janeiro plagued by organized crime and military disputes; a sociologist; and a politician. In 2016, she was elected to Rio’s city council to represent the country’s Socialism and Liberty Party (PSOL), receiving enough votes to win the fifth highest seat of the 51 that were up for reelection that year. At 38-years-old, Franco was viewed as a breath of fresh air that would bring change to the toxic political situation Brazil: She was an outspoken advocate against police brutality in the favelas, institutionalized racism, and gender inequality. Franco was shot dead in her car after leaving a political event in downtown Rio on the evening of Wednesday, March 14, shocking Brazil and the international community. On her official social media pages, Franco described herself as “Marielle Franco, candidate for city council in Rio de Janeiro and mother of Luyara.” Becoming a mother at age 19 put strain on her academic pursuits, but it was the birth of Luyara (now 17 years old), that gave Franco the framework for her studies even as she fought to provide for her daughter. The young mother attended the preparatory Community School of the Maré, graduated with a degree in Social Sciences from the Pontifical Catholic University of Rio de Janeiro (PUC-Rio), and received her Master’s in Public Administration at the Federal Fluminese University (UFF). In addition to having worked as a kindergarten teacher in the Maré, Franco was a respected teacher and researcher in the academic world. Her master’s dissertation, titled “UPP: a redução da favela a três letras” (“UPP: The Decline of the Favela in Three Letters”) examined the role of UPPs, Unidades de Polícia Pacificadora (or “Pacifying Police Units,” in English), a law enforcement program whose goal was to retake control of the city’s favelas that were controlled by drug-dealing gangs. Franco’s political activism and significant role as a human rights activist started in 2005, when a close friend of hers was killed by a bullet during a shootout between police and drug traffickers in the Maré. Her entry into politics was sponsored by Marcelo Freixo, a state representative for PSOL who asked Franco to work with him as a congressional consultant. She worked alongside Freixo for ten years and helped coordinate the Committee for the Defense of Human Rights and Citizenship on the Legislative Assembly of Rio de Janeiro (ALERJ) before deciding to run for city council In 2016. Franco’s parliamentary career attracted widespread public attention. She fought for issues like extending business hours for child day-care centers so that mothers could go back to work, and had recently been assigned to lead the city council’s committee to oversee military intervention in the city. Just days before her death, she made a formal complaint against the police officers of the 41st BPM (Military Police Battalion) of Acari, a neighborhood in northern Rio, after they threatened the area’s residents and were suspected of shooting two young men and dumping their bodies in an open sewer. It was the beginning of Franco’s tenure as inspector of the federal military intervention in Rio, which she had actively spoken out against. On the night of Wednesday, March 14, Franco attended an event called “Young Black Women Moving Structures” on the Rua dos Inválidos, a busy street in the city center. The description of the event on social media encouraged others to attend and join the councilwoman, along with other female activists, in discussing how to empower young black women in Brazil. The tragic news arrived two hours later: Franco had been shot four times in the head in her car after leaving the event. The car’s driver, Anderson Pedro Gomes, was also killed after being shot in the back three times. Franco’s press advisor received shrapnel wounds but survived. A vehicle drove by Franco’s car and shot directly through the window of the backseat where the councilwoman was sitting. Although Brazilian police initially commented that it could’ve been a robbery, they later changed their assessment of the bloody crime and said that it was murder. Following Franco’s death, politicians, activists, and organizations such as Amnesty International and the UN of Brazil have called for an immediate police investigation into the assassination. 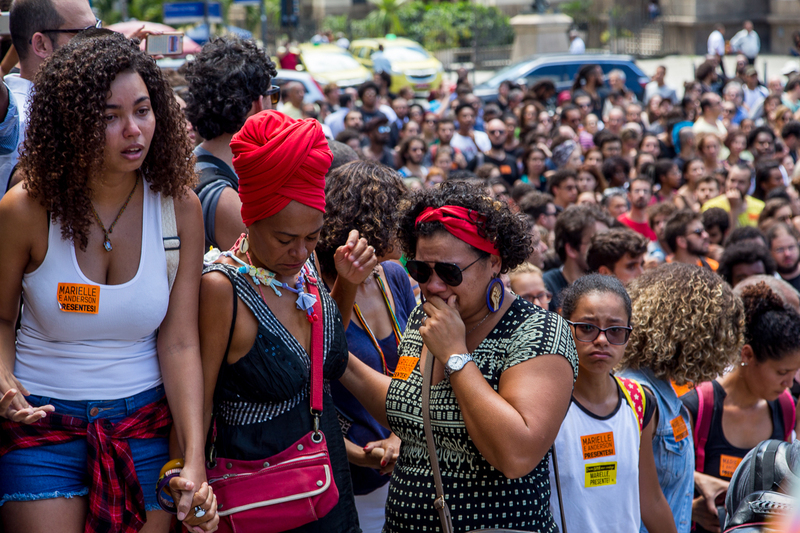 In Brazil, deeply rooted racial inequality continues to be a systemic problem. 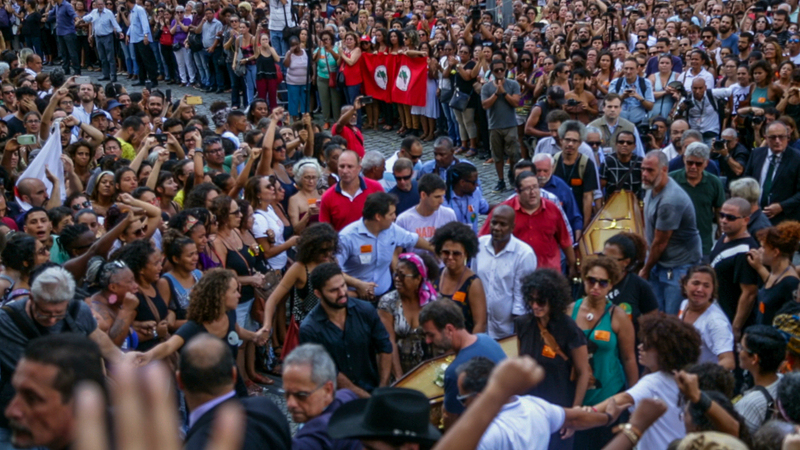 In the aftermath of Franco’s death, protests have been planned in numerous cities to fight against black genocide and to celebrate the life of the councilwoman. I makes me so sad and angry when someone who is brave enough to speak up and trying to chance the world is silenced just because some people don't like hearing it. People are so cruel! I'm glad people like her are standing up to such injustices, we need more people who are not afraid to fight. a very sad story but arent these car shootings very common in rio? i’ve seen a youtuber talking about how she was shot in the backseat of a car with her family. a corrupt government will do anything to silence the opposition. rest in peace. that is awful i did not see thar part when i read an article on this. that is incredibly sad and single handily shows the corruption. https://www.theguard...ted-killing-rio this article is great. It shows why the police do not like her. The police here in brazil is disgusting. "Brazil suffered 61,600 homicides in 2016, according to a new analysis of federal data released on Monday. And as violent crime continues to plague the country, Brazilian police forces are becoming increasingly lethal at an even faster rate. 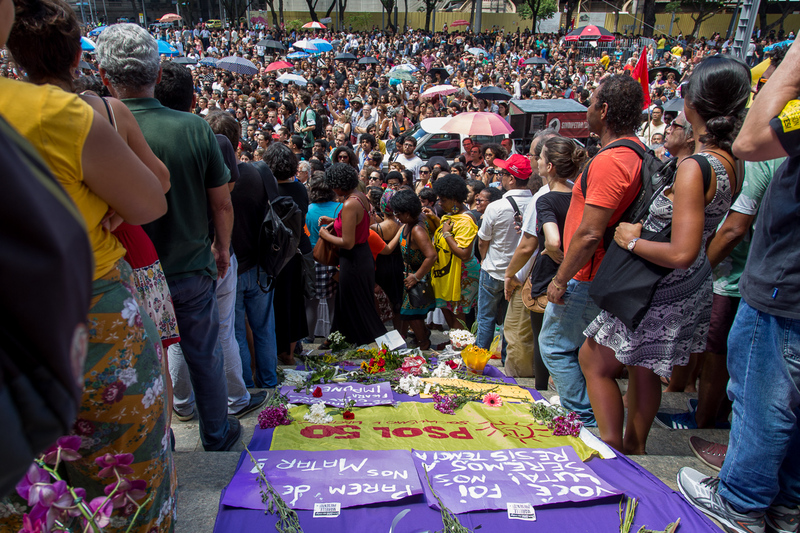 Brazilian police killed 4,224 people in 2016, 26 percent more than in 2015, according to the 11th Annual Brazilian Yearbook of Public Security. (The numbers were first reported by Globo News.) The number of total homicides, by contrast, rose 3.8 percent. By comparison, there were roughly 17,000 homicides in the United States in 2016. Police shot and killed at least 963 people, according to The Washington Post’s database on police shootings. The U.S. population outnumbers the Brazilian population by about 110 million people. Homicides take a particular toll on young, black Brazilians, both inside and outside favelas, where roughly 70 percent of residents are black or multiracial. Every 23 minutes, a black Brazilian child is the victim of homicide, according to a Senate report released last year; other reports show that black Brazilians overall are 23.5 percent more likely to die in homicides than members of other groups. So sad, so scary, the situation in Rio is getting worse and worse. I'm glad we have brave women and men standing against police & state violence. RIP.